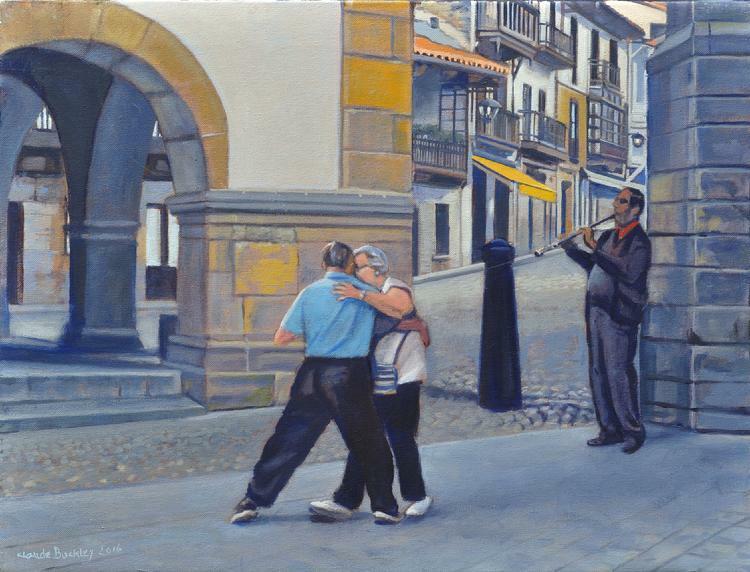 Welcome to Claude Buckley art for sale gallery. 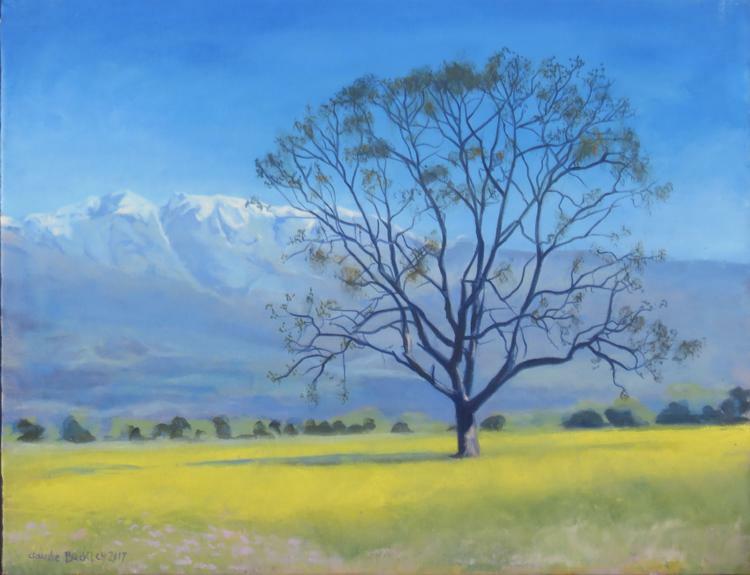 Purchase original paintings. 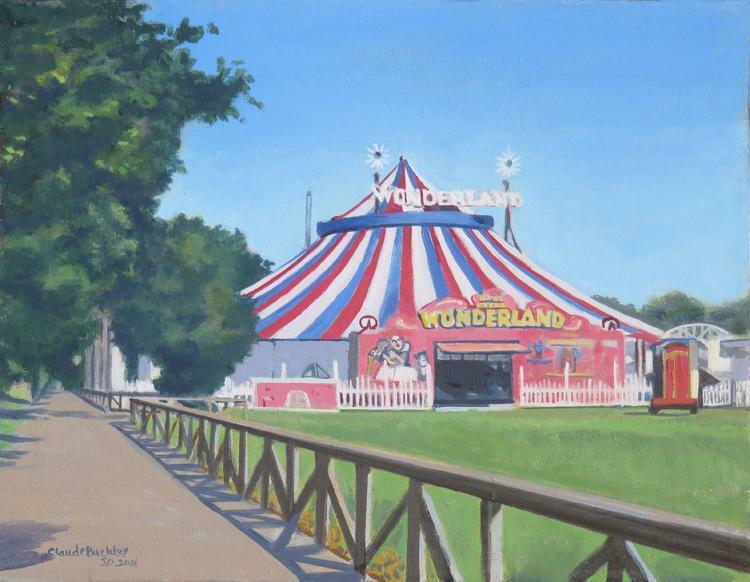 The circus tent, with it's pink and blue stripes seemed so out of place in rural Spain that it compelled me to paint it twice. It was on the walk to La Rabia from Comillas. 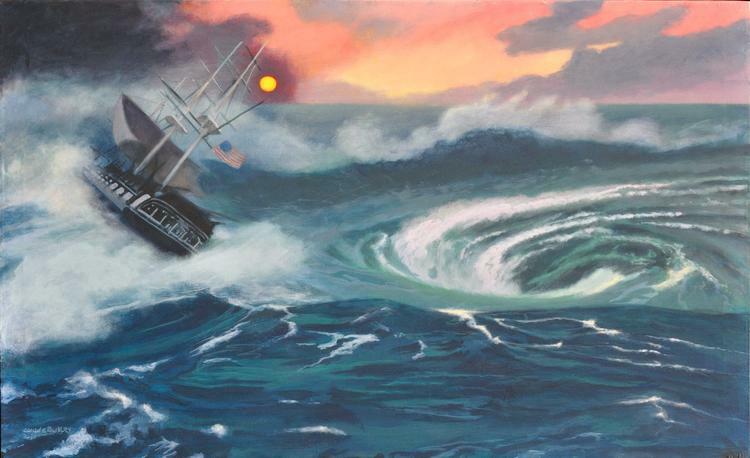 The painting portrays the perilous seas the US constitution navigates. The USS Constitution stands as a metaphor of the U.S. government at the time it was painted. Follow the buttons below to view similar original artwork for sale.